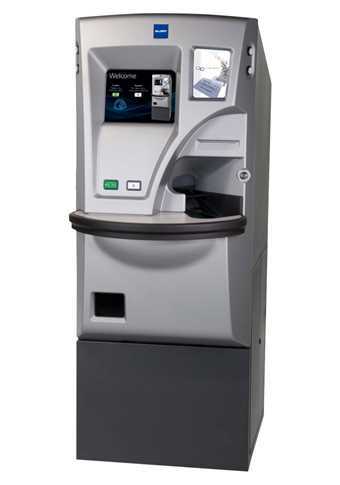 Lobby self-service coin machines eliminate the need to deposit coins over the counter, thereby reducing waiting times, improving productivity, and enhancing your customers’ branch experience. Offering your customers a faster, more convenient way to deposit coin reduces waiting times, improves teller productivity and enhances customer satisfaction. QuickChange ™ is an automated, self-service coin counting machine. Your customers can quickly and easily deposit their coins without the need to pre-sort, wrap, sachet or wait in line for a teller. 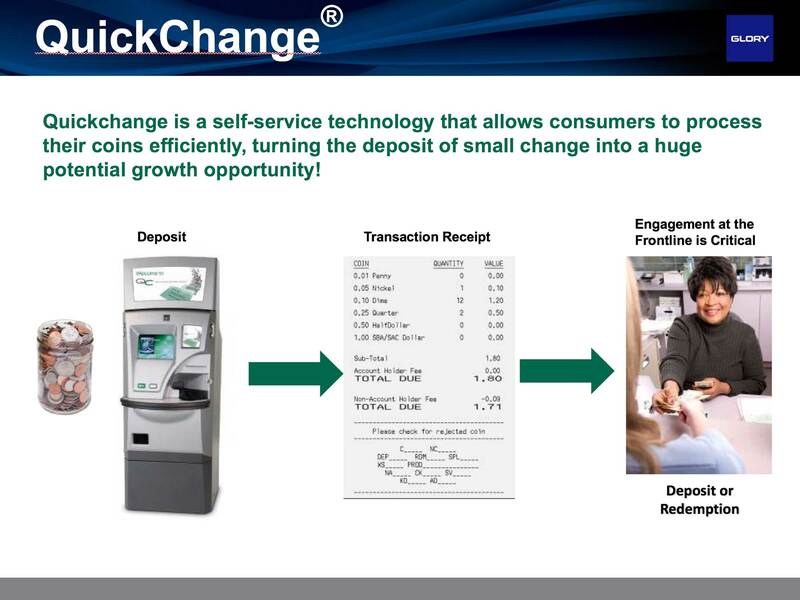 Self-service technologies are about choice and ensuring that banking customers are served in ways that will enhance the overall brand experience and provide the means by which the branch can reduce operating cost without sacrificing relationship and service levels. At Bankers Equipment Service, we believe that customer relationship building means providing customers with the service they want, when and where they need it. Our self-service technology is designed to achieve exactly that. If you are looking to re-invent the branch experience for your customers through innovative technology and creative design and if you desire to improve the customer experience and strengthen relationships, reach out to our branch transformation experts. We will help you identify the best way to move forward. Call us today at 952.890.6661 or contact our team online.